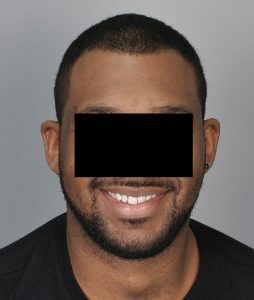 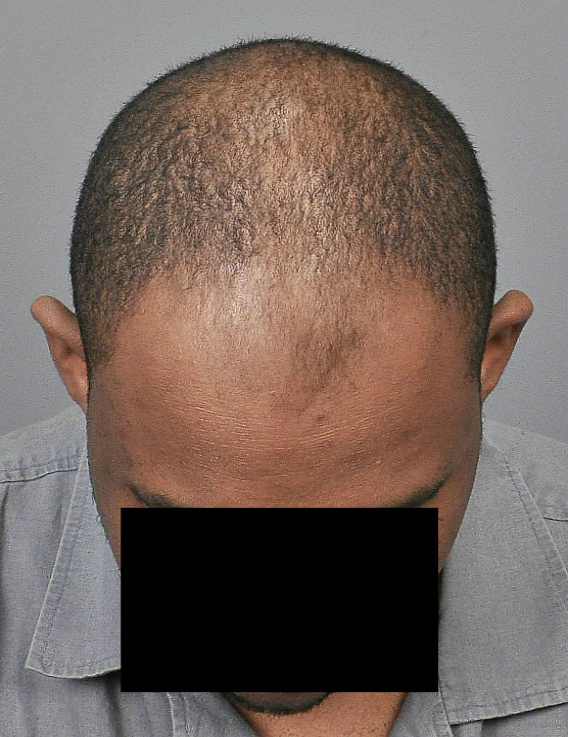 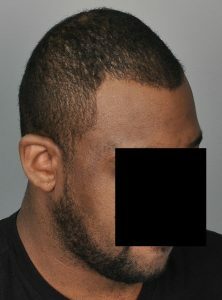 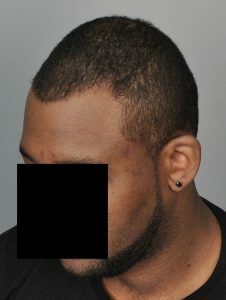 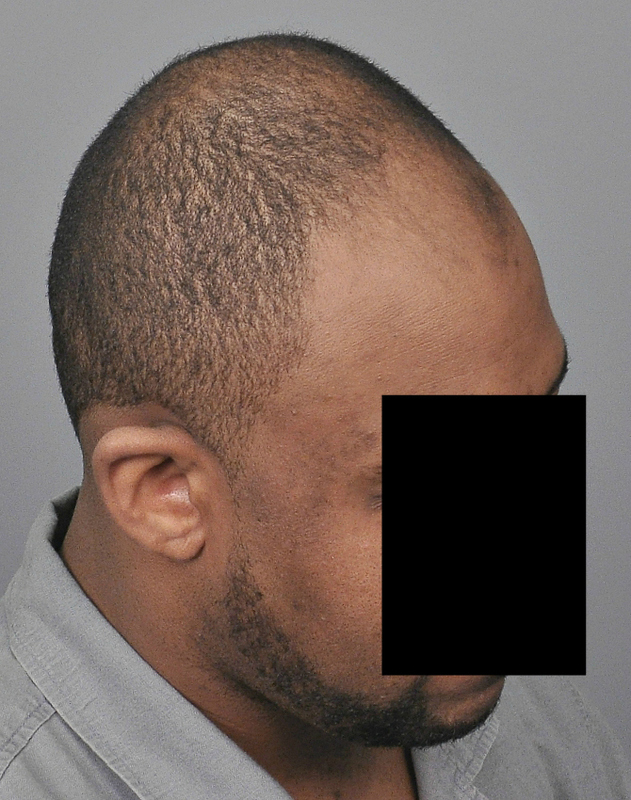 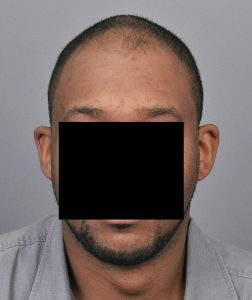 This African American male in his 30’s wanted to restore his frontal area. 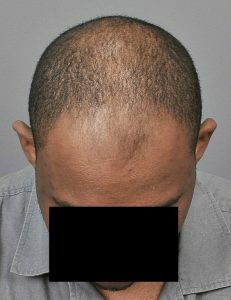 We prescribed finasteride and performed FUSS of 2,046 grafts (1-505, 2-1029, 3-512). He is shown 10 months later. 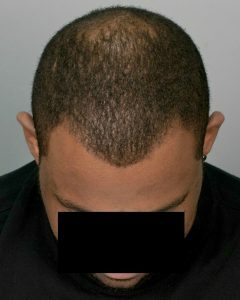 The donor scar can be seen with his short hair but the photo lights make it seem more noticeable than it really is. 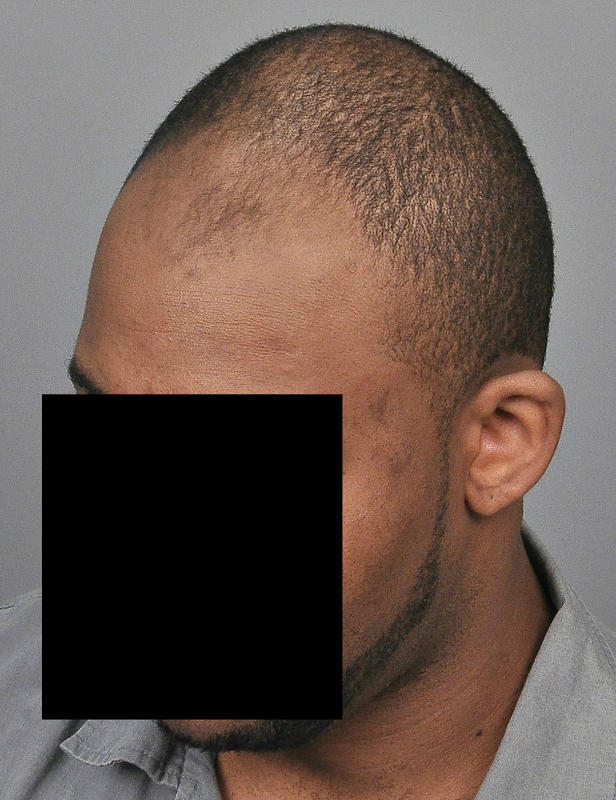 He is very happy with the results and isn’t bothered by the scar.